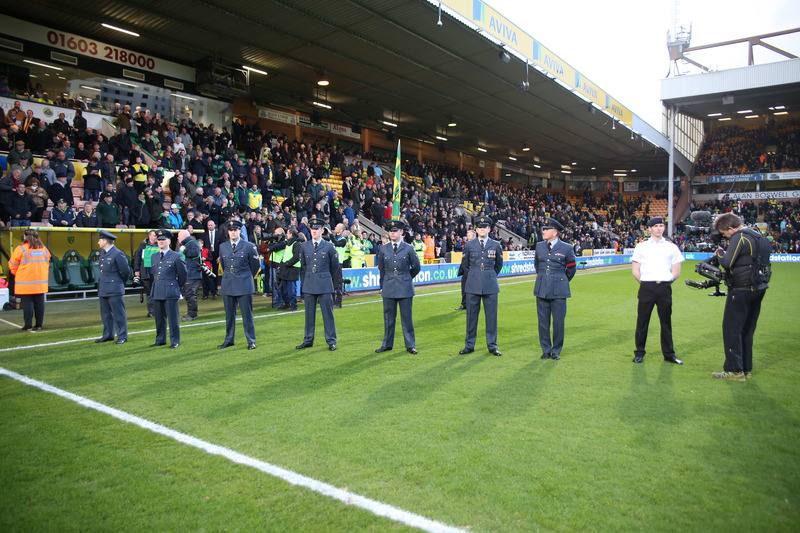 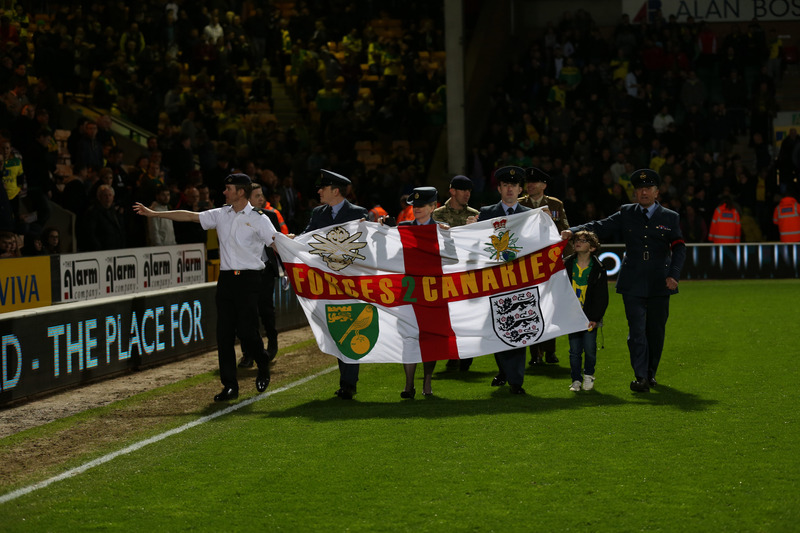 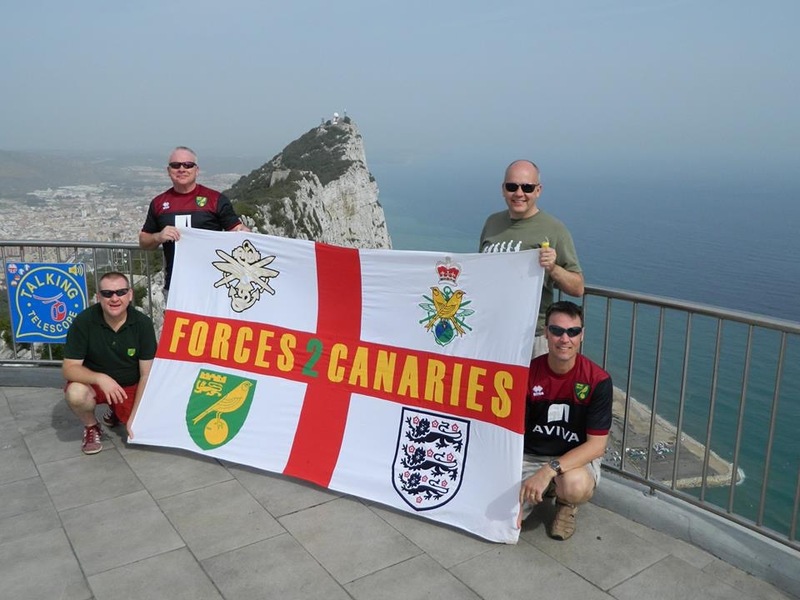 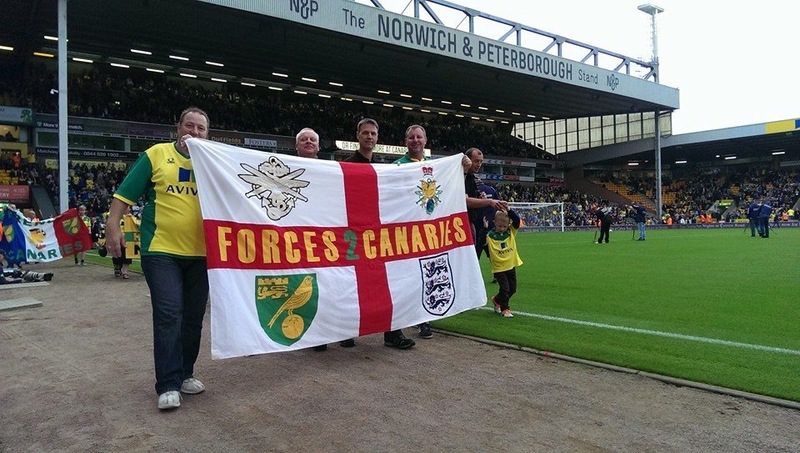 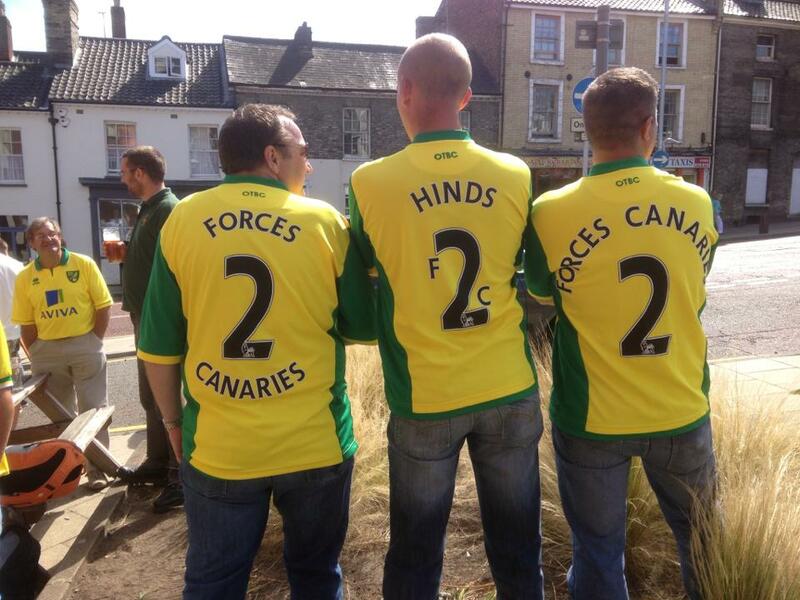 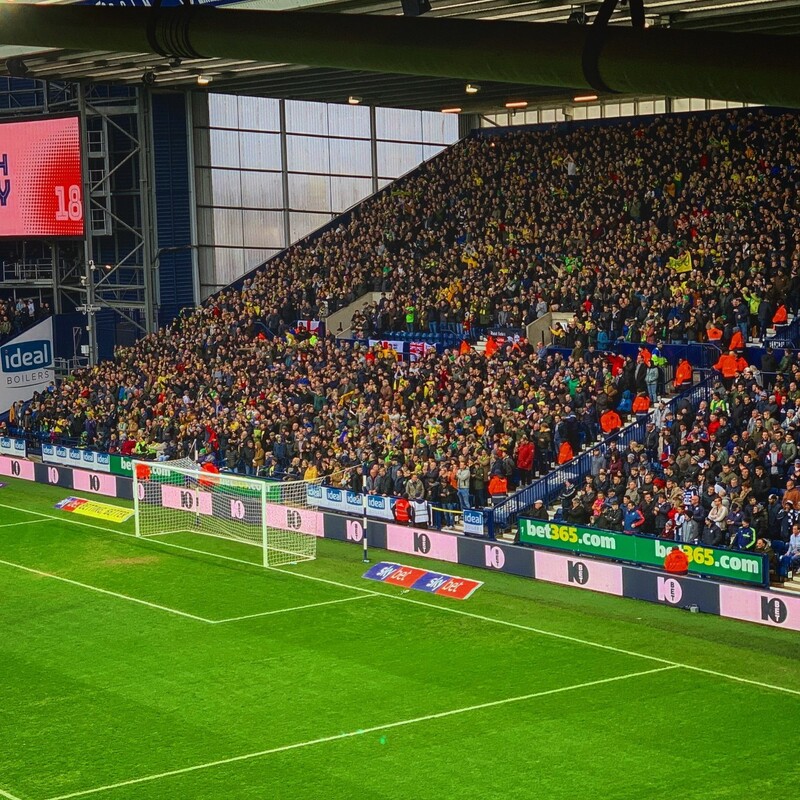 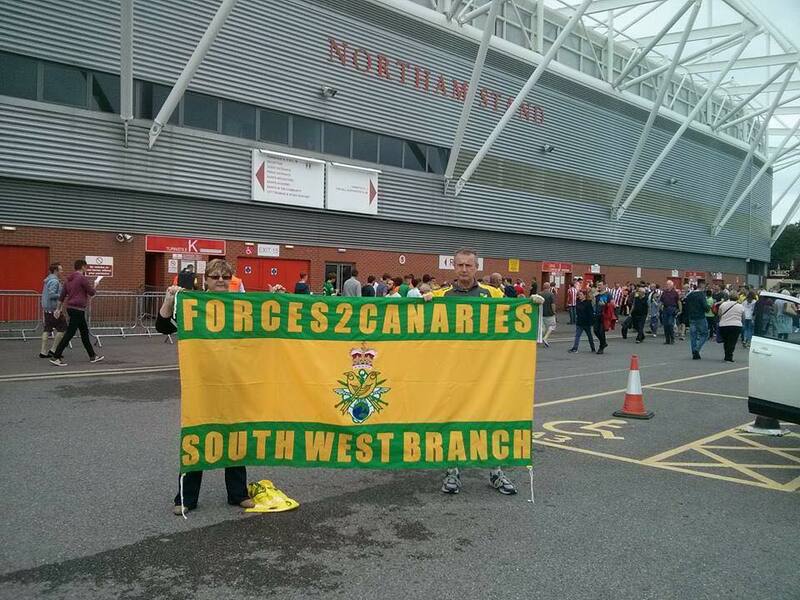 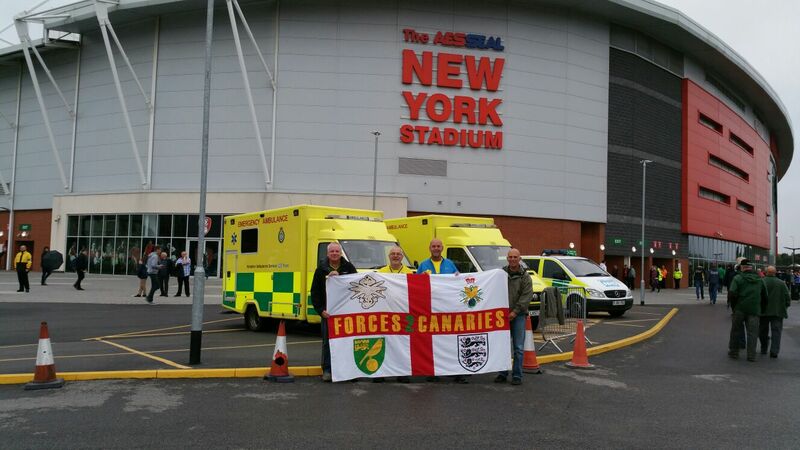 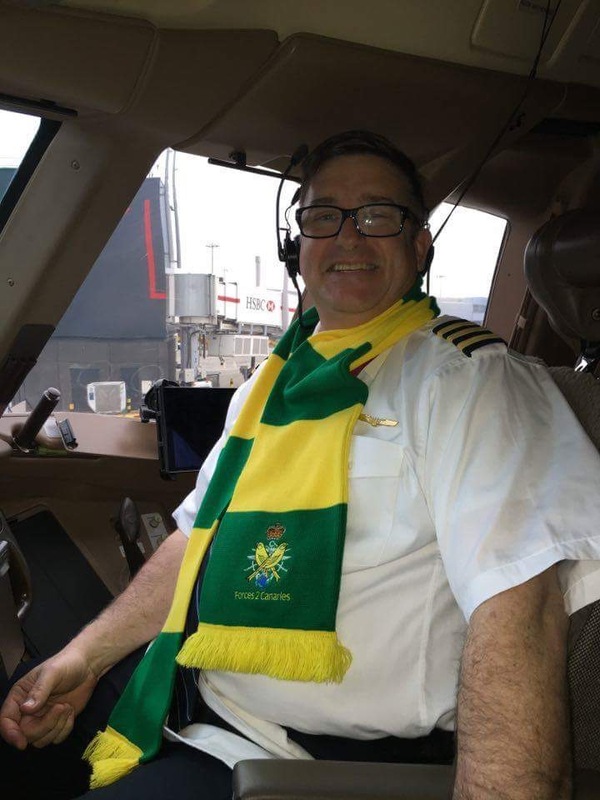 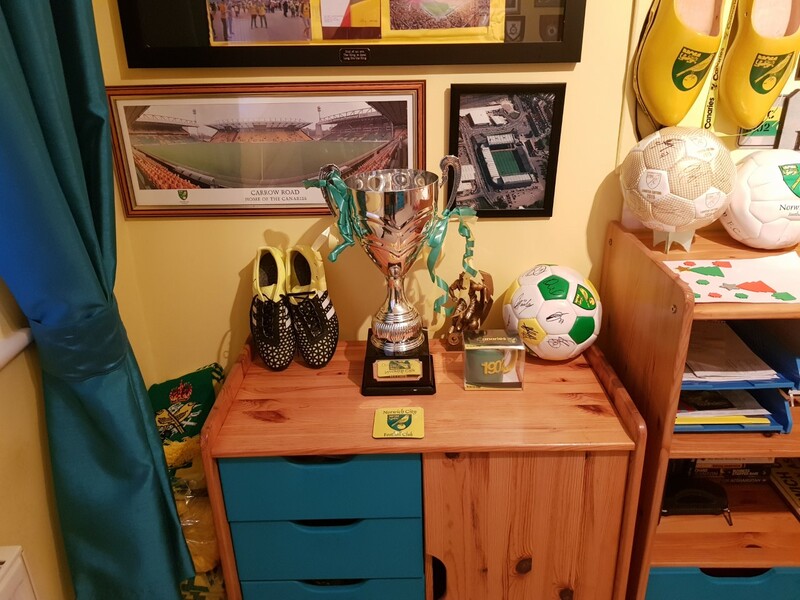 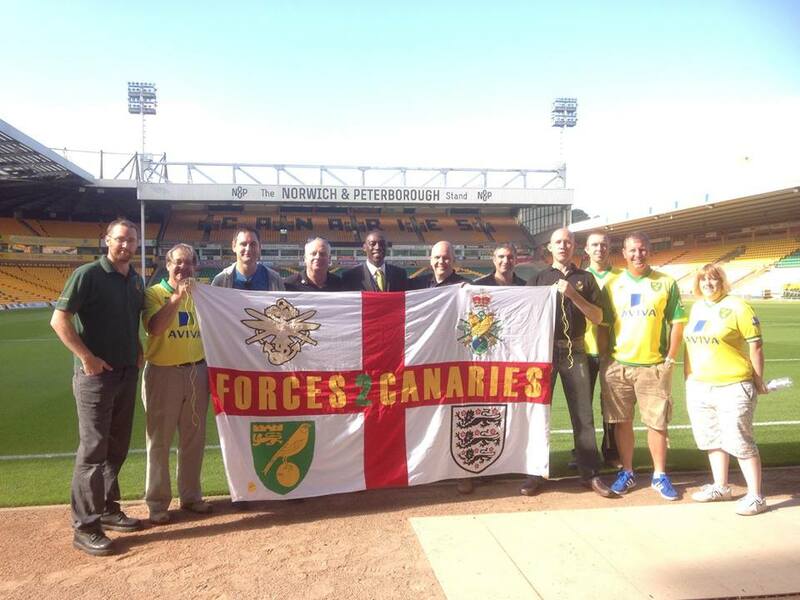 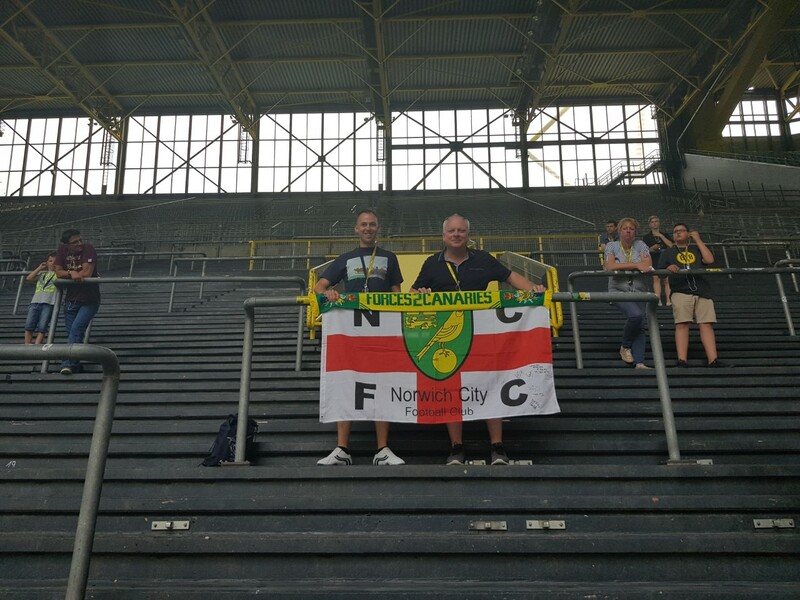 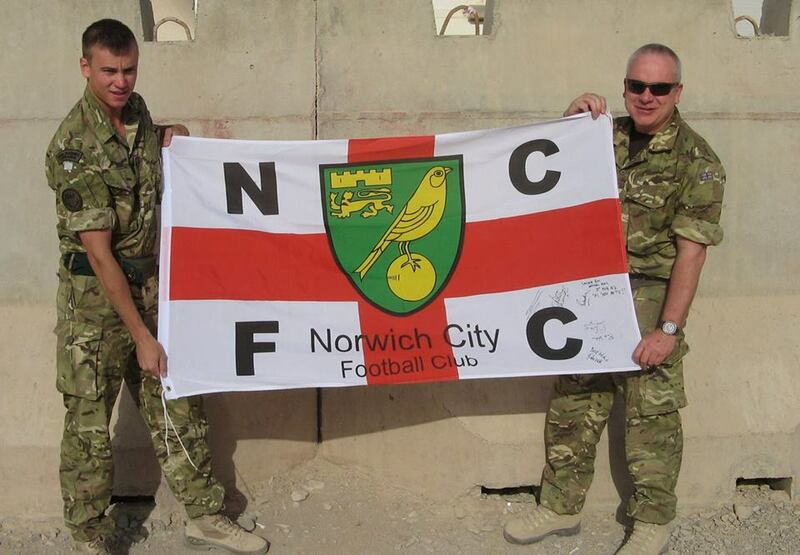 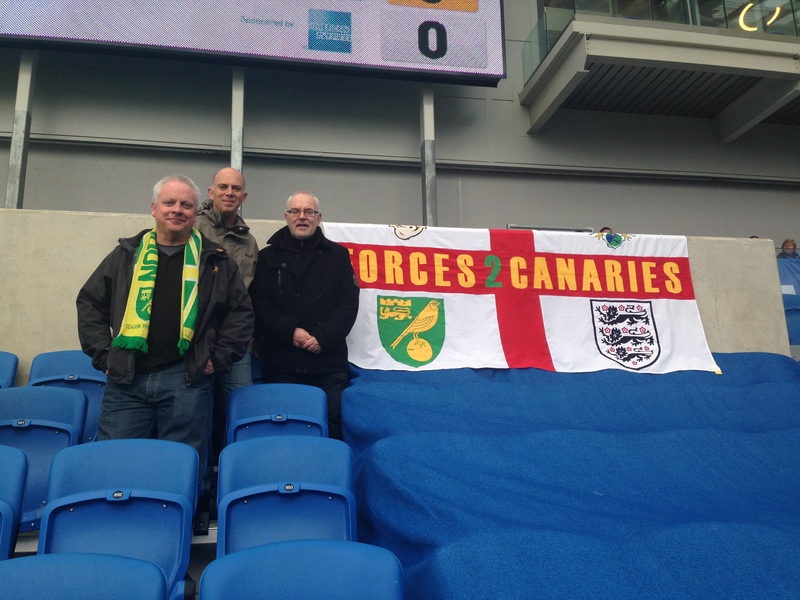 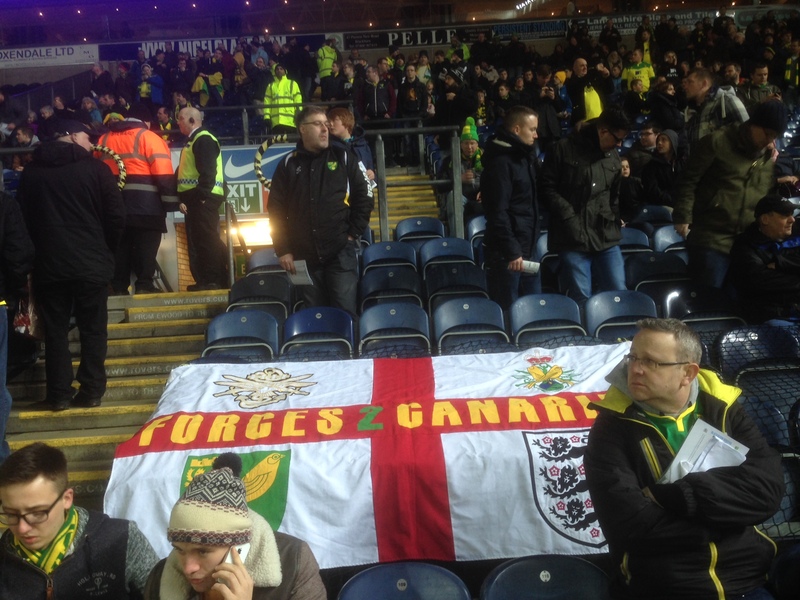 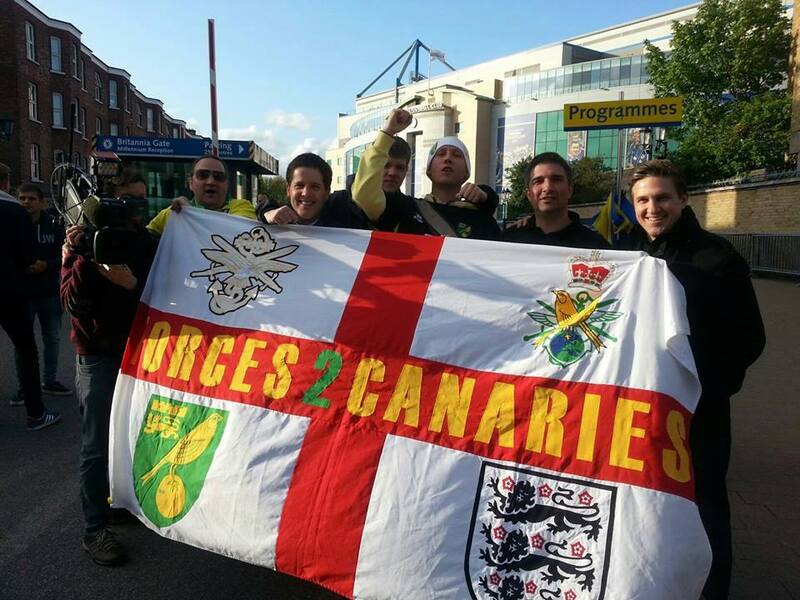 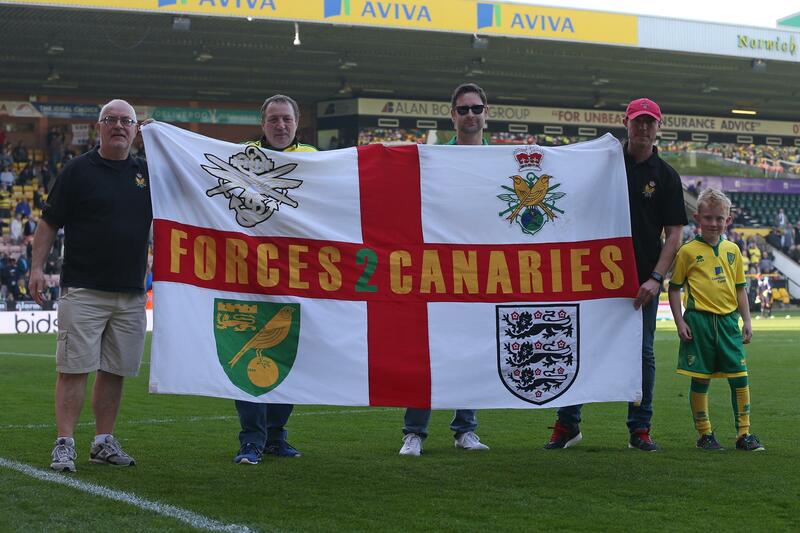 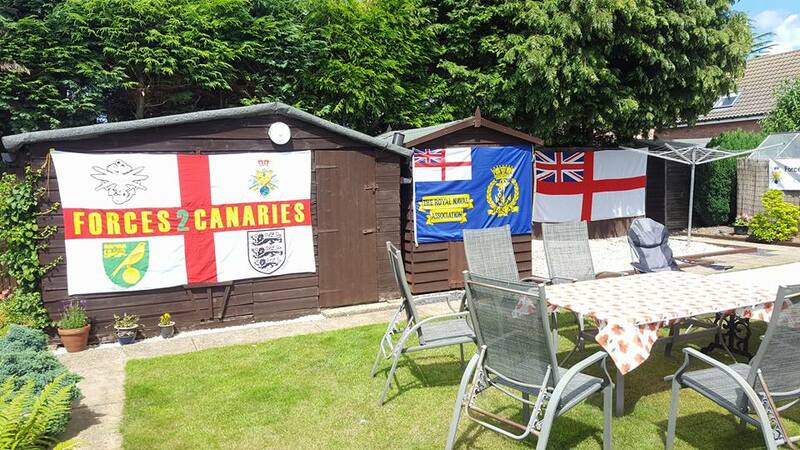 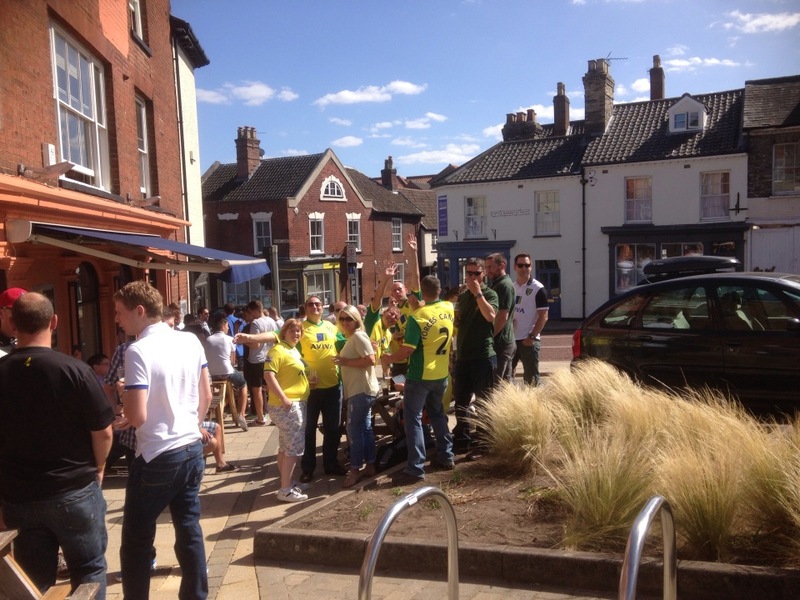 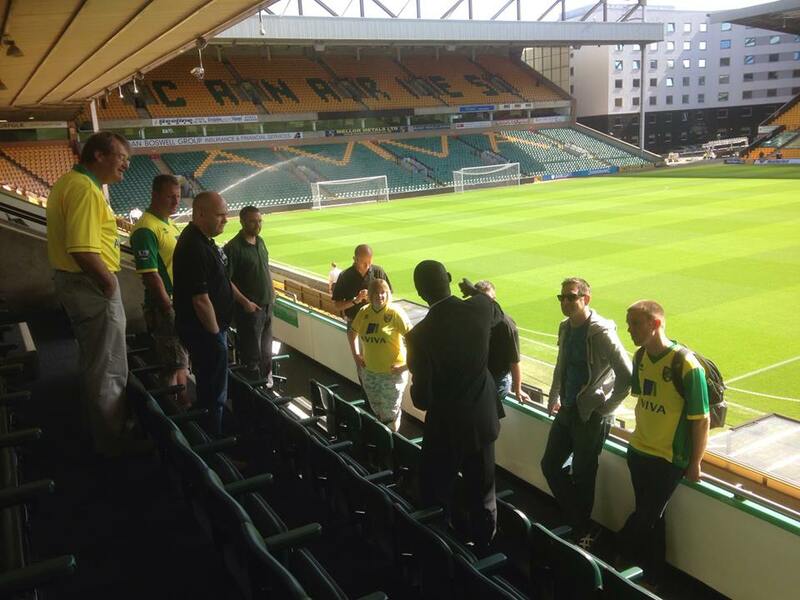 Forces2Canaries – Norwich City FC Supporters Group. 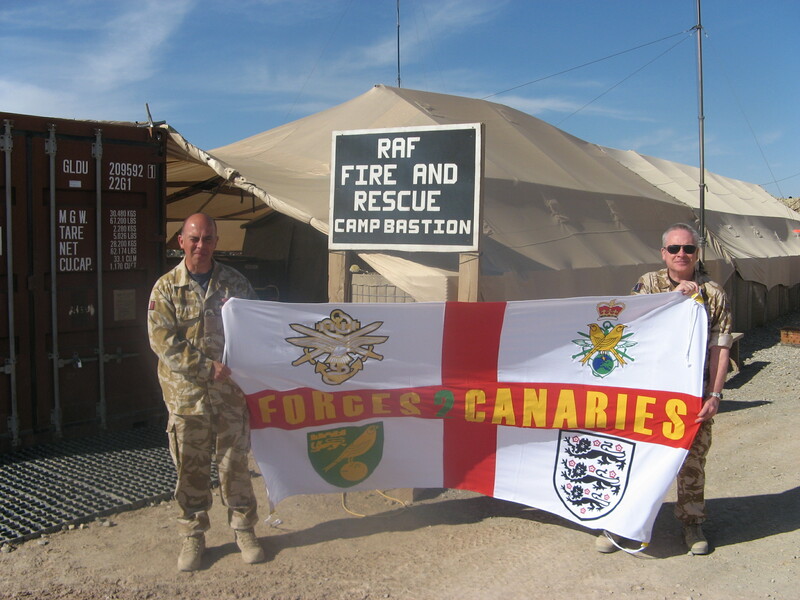 Our Supporter group was formed back in 2003. 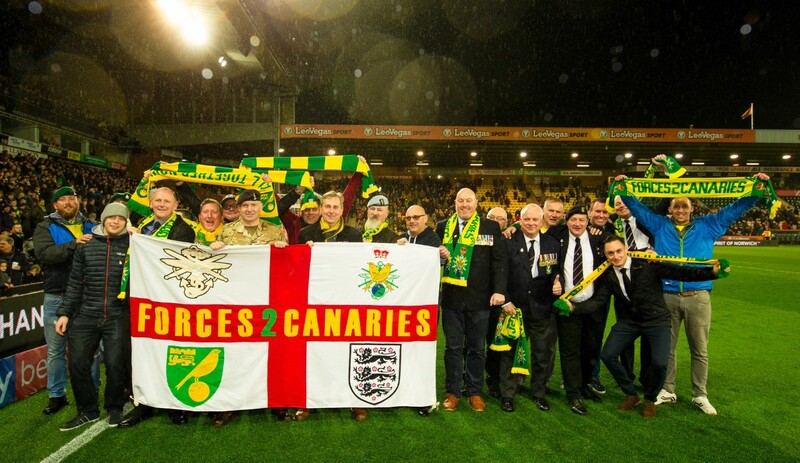 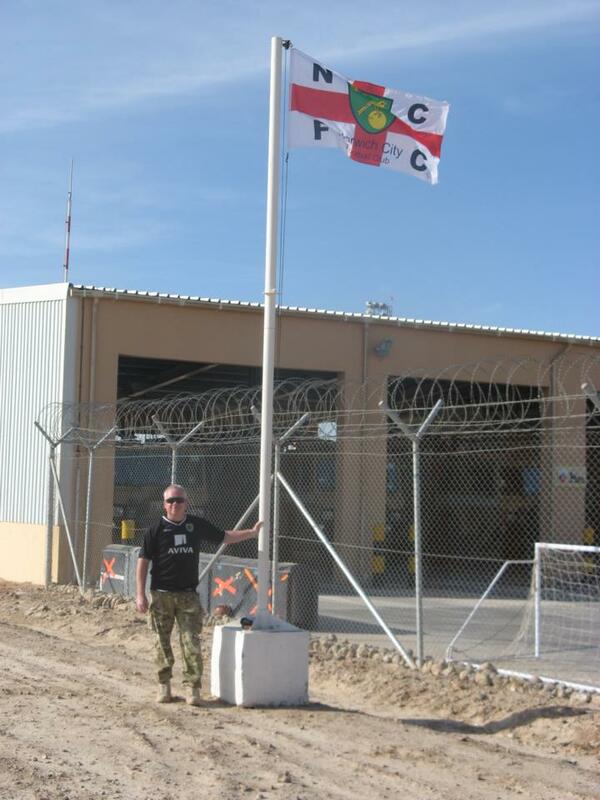 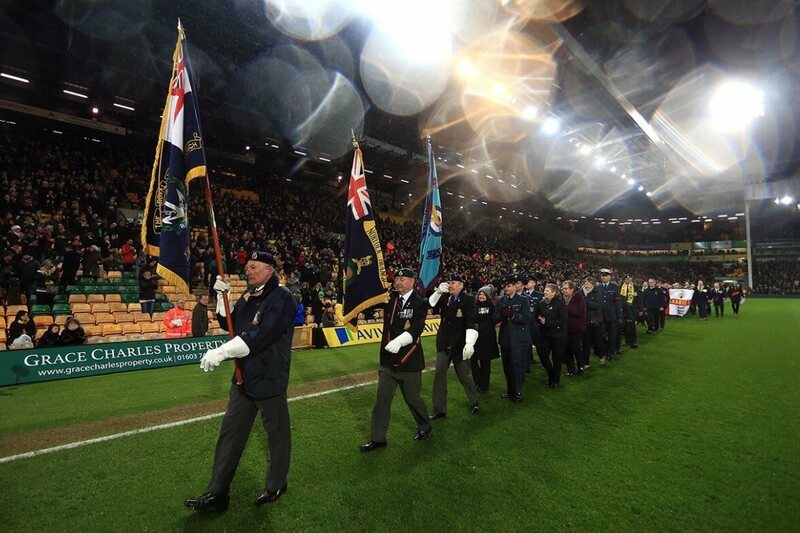 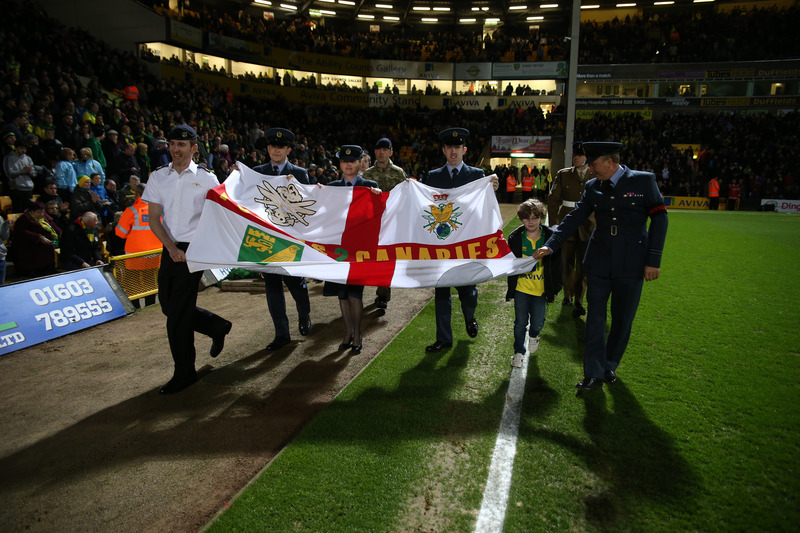 F2C primary aim is to provide a central social supporter group, for all like-minded serving and ex-military Norwich City fans. 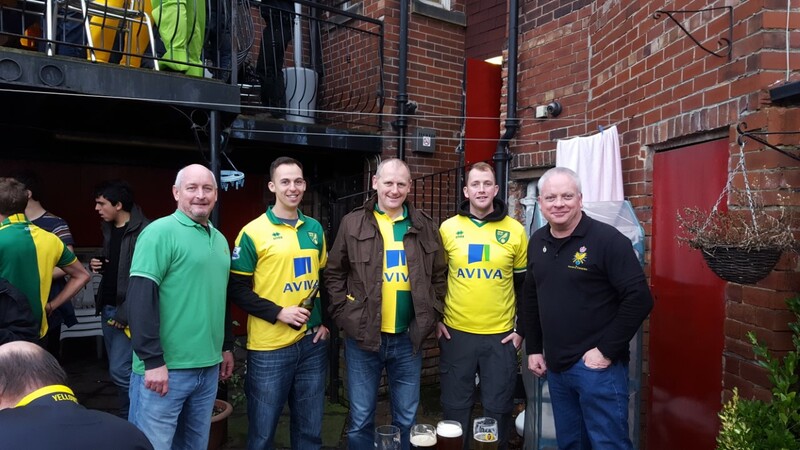 Before most home games we try to meet up in the Fine City for a beer or two usually in the Queen of Iceni on Riverside, check with our Chairman, Nev Townsend, for the latest info. 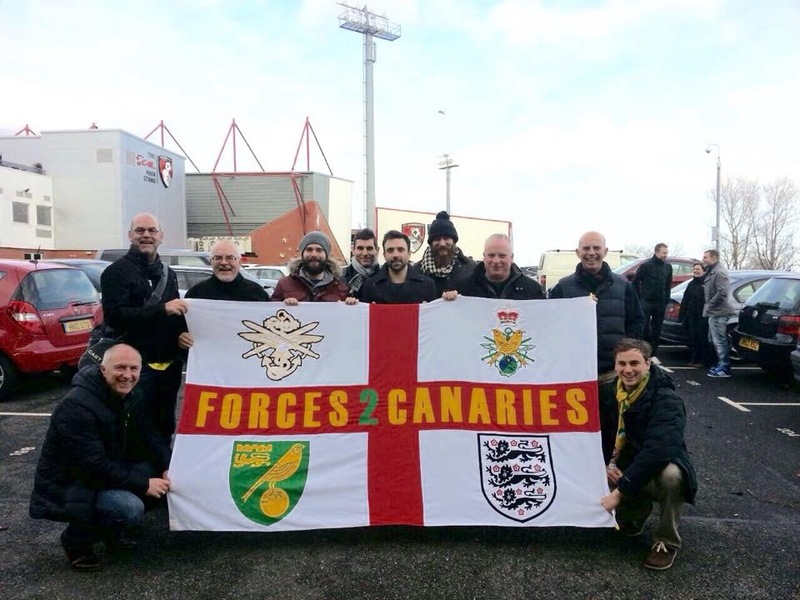 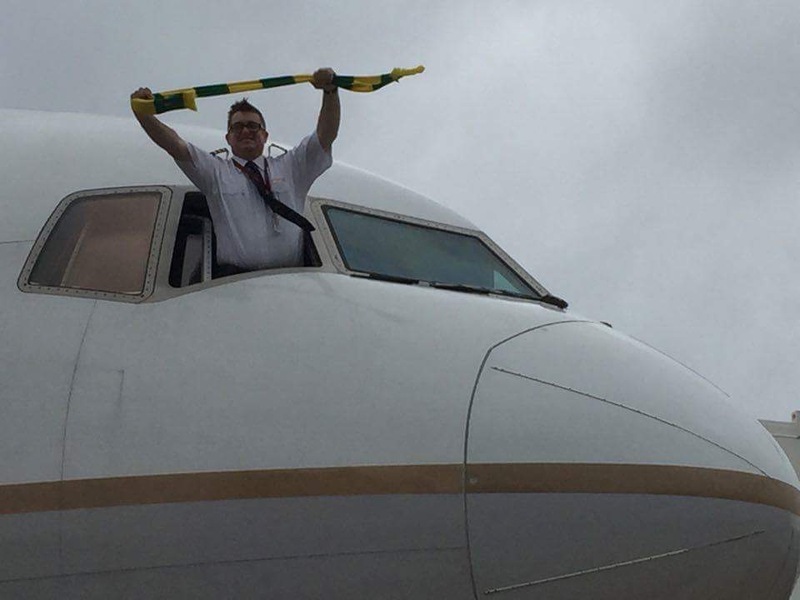 In addition to this, we normally arrange a few F2C away days during the season. 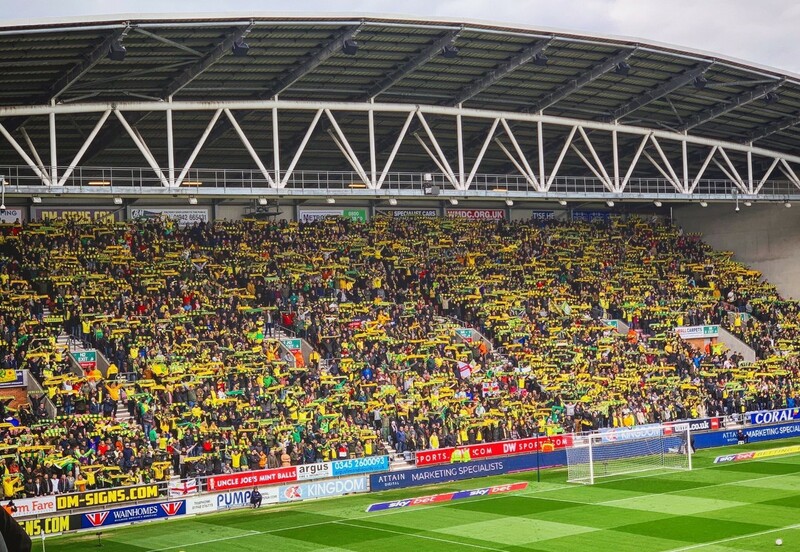 This season (2018-2019) we have had 4 away days at Reading, QPR, Brentford and most recently Wigan. 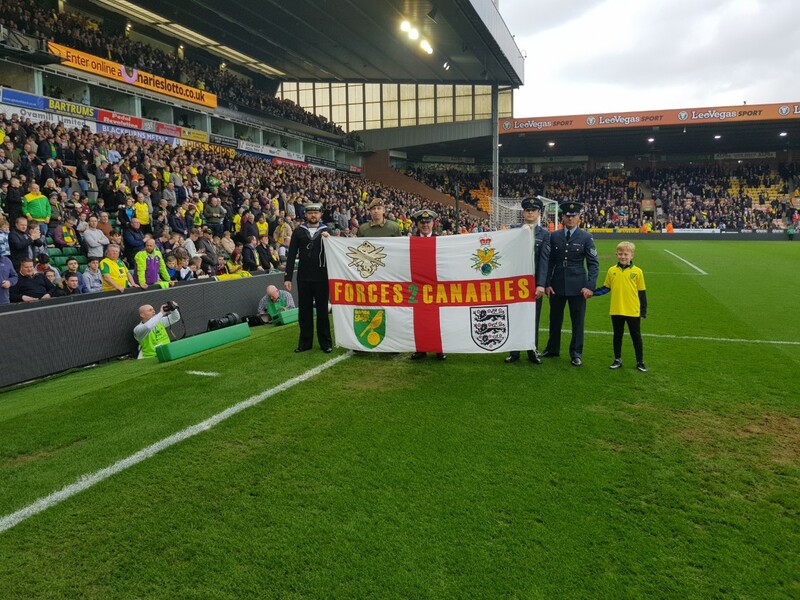 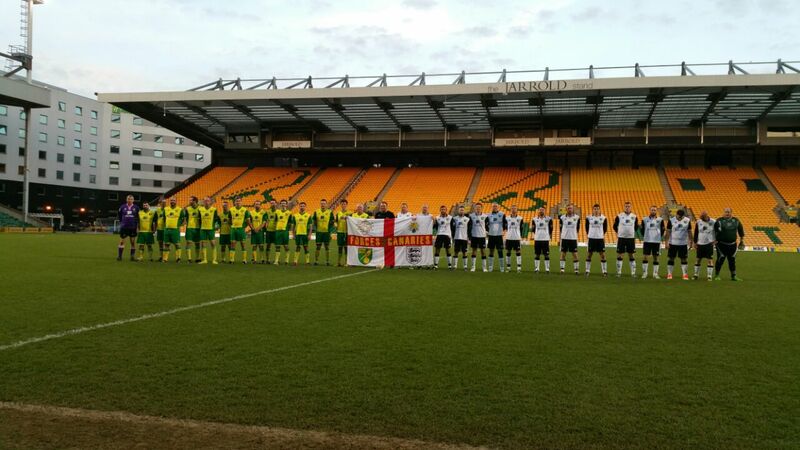 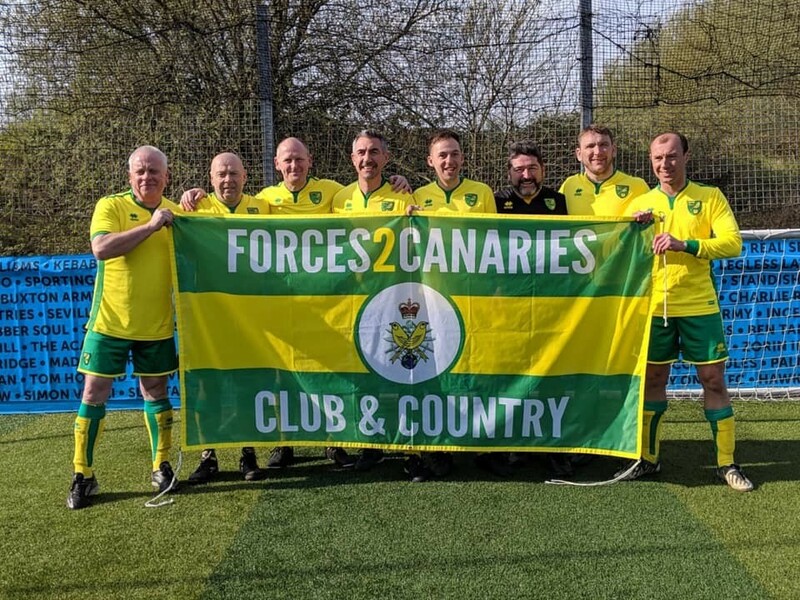 Our 9th F2C football match at Carrow Road took place last year (2018) on the 09th May. 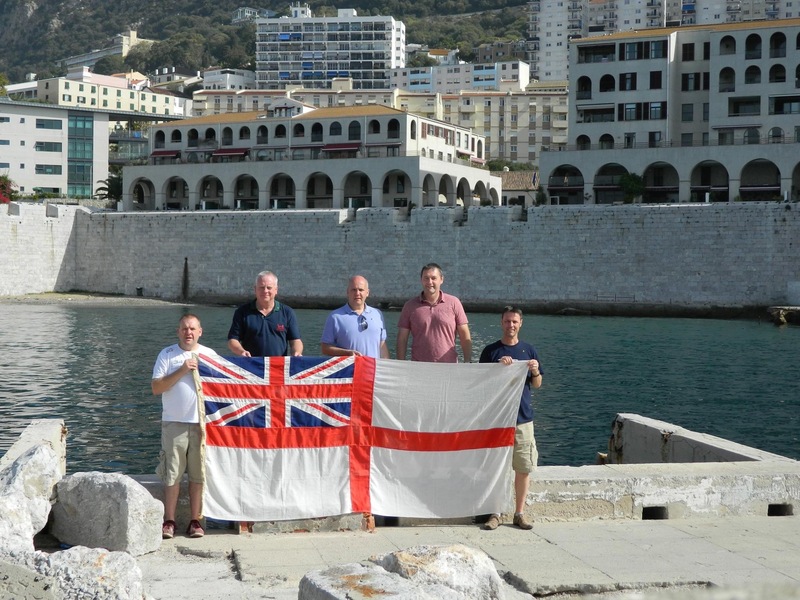 Membership stands at 180 with members from all 3 services and from many different countries. 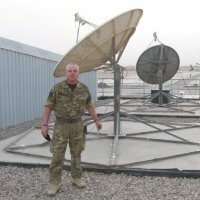 We are very proud that General Lord Richard Dannatt GCB CBE MC DL has been our Patron since April 2016. 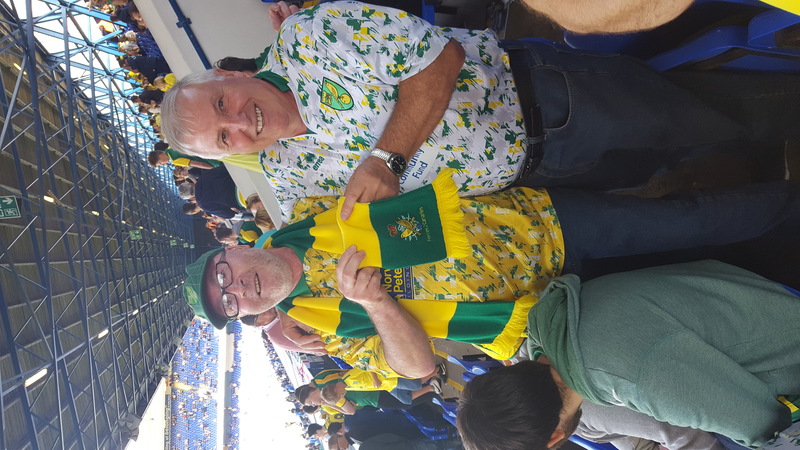 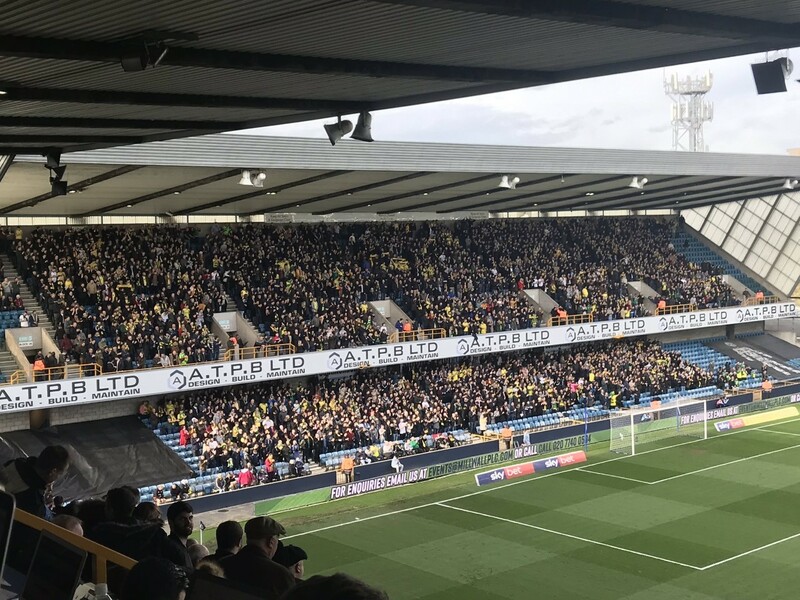 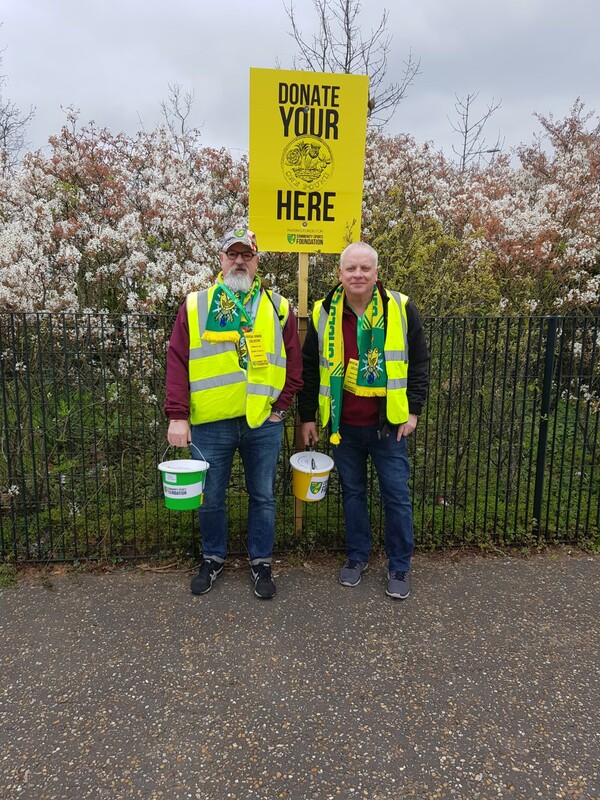 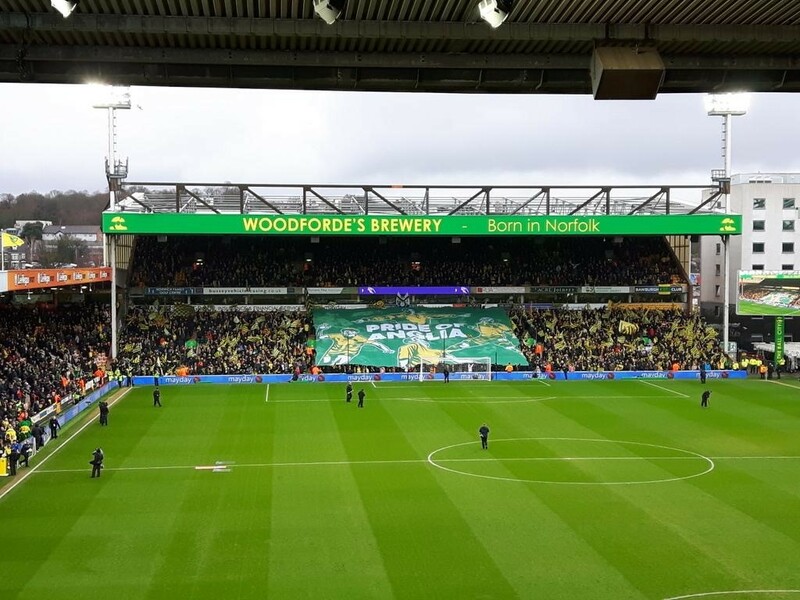 We are also actively involved with other local Supporters Groups, Barclay End Norwich (BEN), Proud Canaries, Norwich City Fans Social Club (NCFSC), Along Come Norwich (ACN) and Canaries Trust (CT). 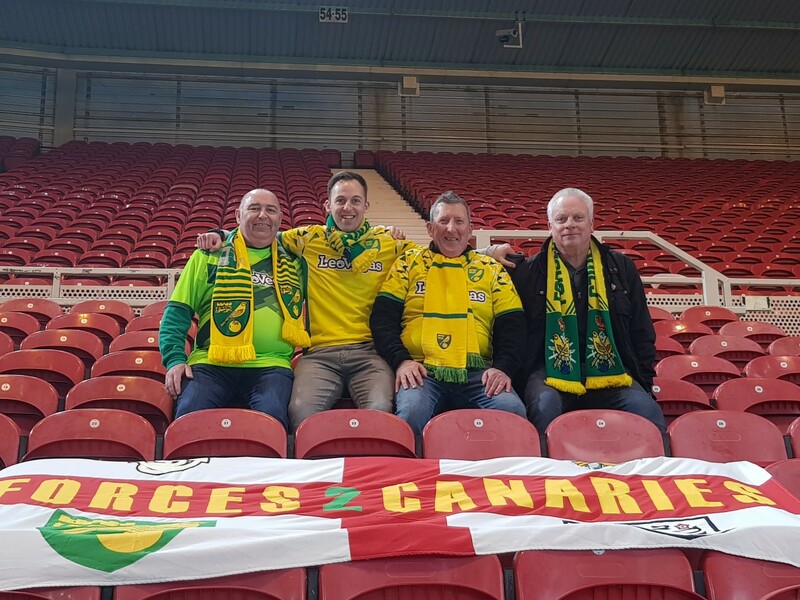 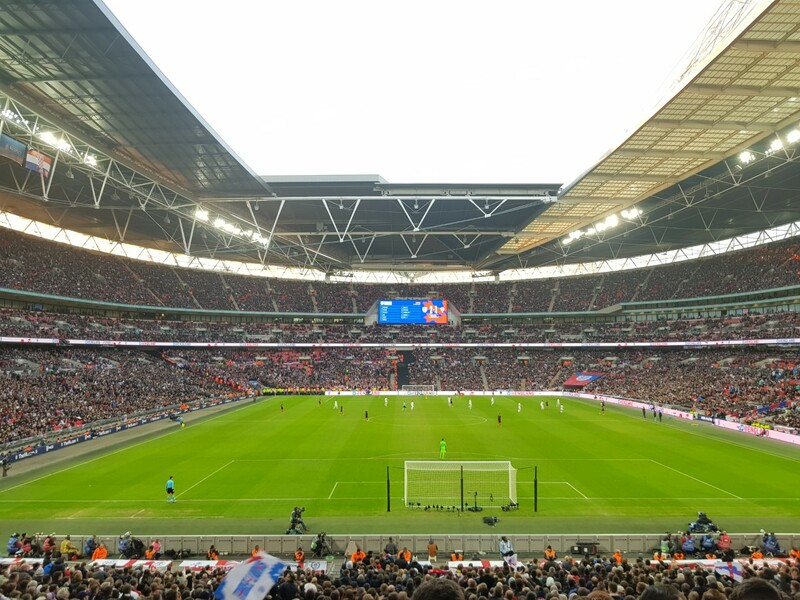 F2C actively supports campaigns to reduce the price of away tickets for fans, the return of safe standing areas at stadiums and supporting the campaign to combat homophobia and racism within football. 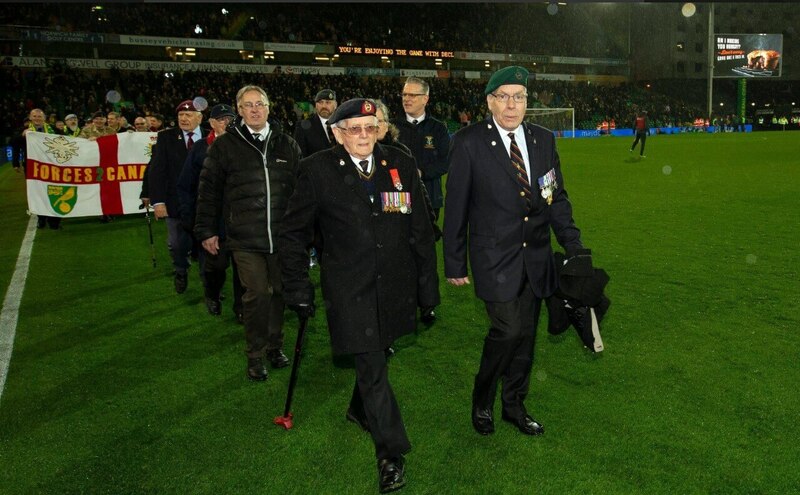 At present we are working with the Community Sports Foundation (CSF) to implement a Veterans Program to be based at the Nest in the very near future. 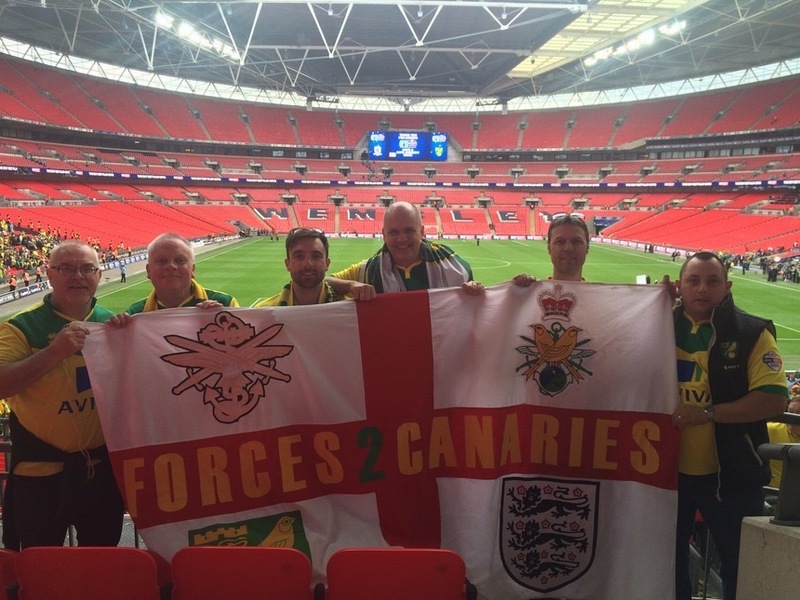 Affiliations the FSF (Football Supporters Federation) continue. 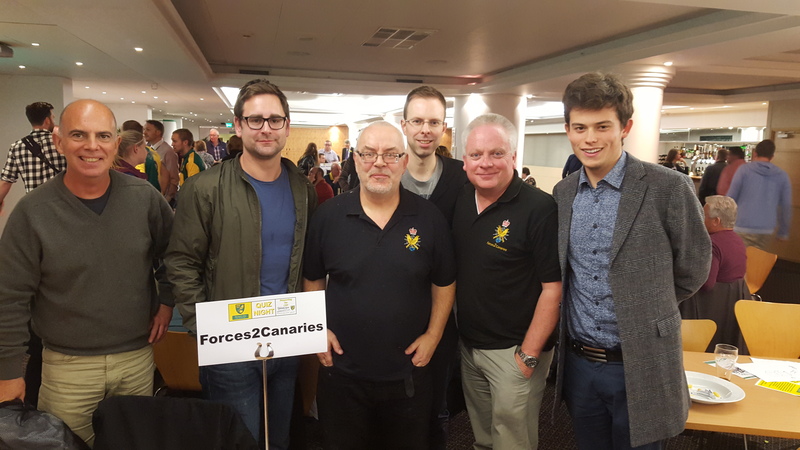 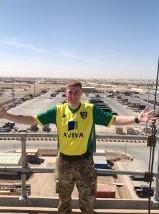 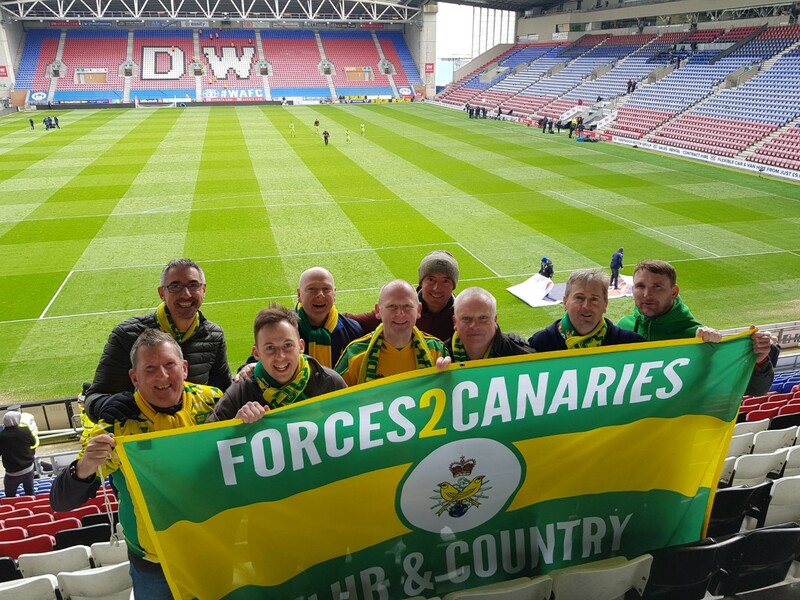 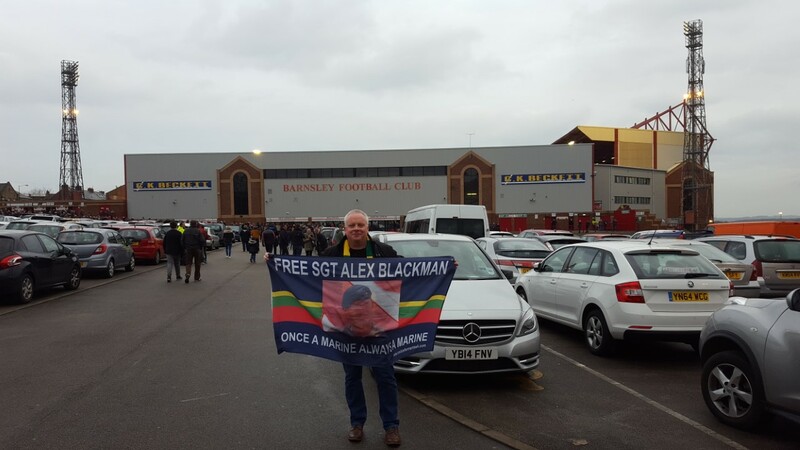 To become a member of Forces2Canaries and for all Media/Press Enquiries contact us here.